Janice, this looks like a beautiful book, thanks for this review. I agree that there are too many baking books, so I'm also looking for something a bit different, and this sounds fantastic. Gingerbread is one of my favourites and I love pears so I can't wait to try this recipe. Thank you. Hard to choose just one, but I do love a very simple Cherry Cake! 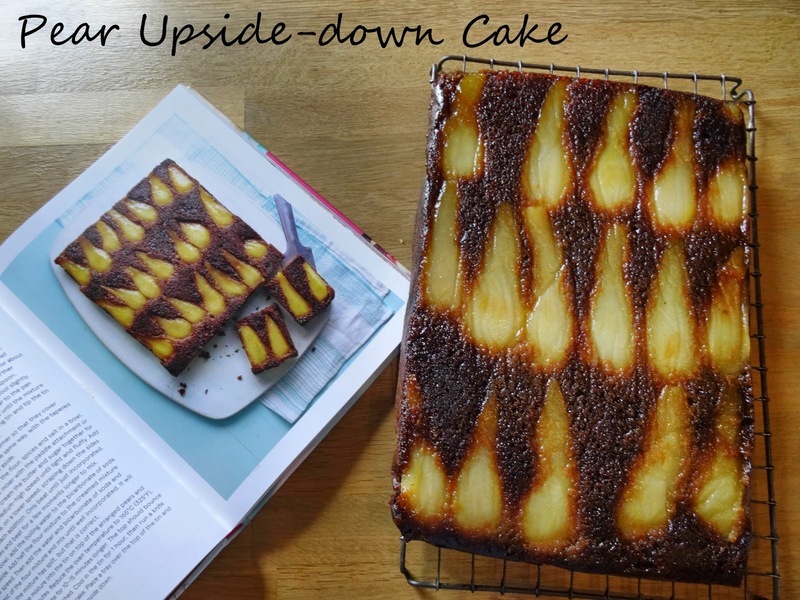 This pear cake looks lovely, as does the book, it's turned out just like theirs, lovely! This book looks like another winner from hummingbird. In terms of a favourite bake, that's a hard one...Probably creme egg brownies which are 'in season' at the moment & always go down a storm when I make them! I love a loaf cake. Simple and effective. Ahh, tomato soup cupcakes. I have heard of these before, but I'm not convinced - could be because I've never liked tinned tomato soup. Another good review Janice and as I don't have a Hummingbird book at all, I'm going to try my luck. Hmmm, my favourite cake - well I can't really say anything else other than chocolate cake! Thanks, the cake was a great succes. Thanks, I was pleased with how it turned out. No problem. Only your comment has registered Zoe. Good luck. Too sweet for me, but I know they are popular. Good luck. Never had it in cupcakes, but I have tasted a large cake made with tomato soup, you can't taste the soupiness at all! Banana Loaf Cake is my favourite to make, easy to do and can be eaten anywhere at anytime! Ginger cake from Imperial War Museum cook book....it's amazing! I love a coffee and walnut cake! I love lemon drizzle cake, but any cake is good! My favourite cake is probably a good Victoria sponge... can't beat it! I love carrot cake and I love making trifle cupcakes from The Hummingbird Bakery's last book! It would have to be a good old Victoria Sponge or an indulgent carrot cake topped with a thick layer of smooth soft cheese icing! How kind, I do spend a lot of time in the kitchen! That Weetabix cake is good too. Oh too many, but my favourite ones are something with a little cinnamon or ginger in them. A classic carrot cake made with honey! I am a big fan of their red velvet cupcakes so I reckon I would like this. chocolate, chocolate and chocolate. Did I mention chocolate?! This cake looks amazing I love the way the pears are arranged. My fav cake has to be chocolate fudge cake. i love carrot and ginger cake that i have made from the hummingbird cake days book- so moist and tasty....not seen this new book that is in the giveaway....but would be a lovely addition to my collection. My favourite cake was always chocolate fudge cake but as I get older I am enjoying spices more and I'll bet this spiced cake smells amazing. The caramelised pears themselves sound fabulous, let alone added into the cake! Yours does look exactly like there one in the picture! Which book was that Jemma? Thank you, it really wasn't difficult at all and very effective. Chocolate fudge sounds good. Thank you Vohn, yes the spices do add to the flavour and the pears were delish! the red velvet cupcakes from the first hummingbird bakery book - really pleased to hear there is another new one out! Homemade Christmas cake the build up to eating is amazing the smells!!! If it's made really well, I think my favourite is Victoria Sponge. 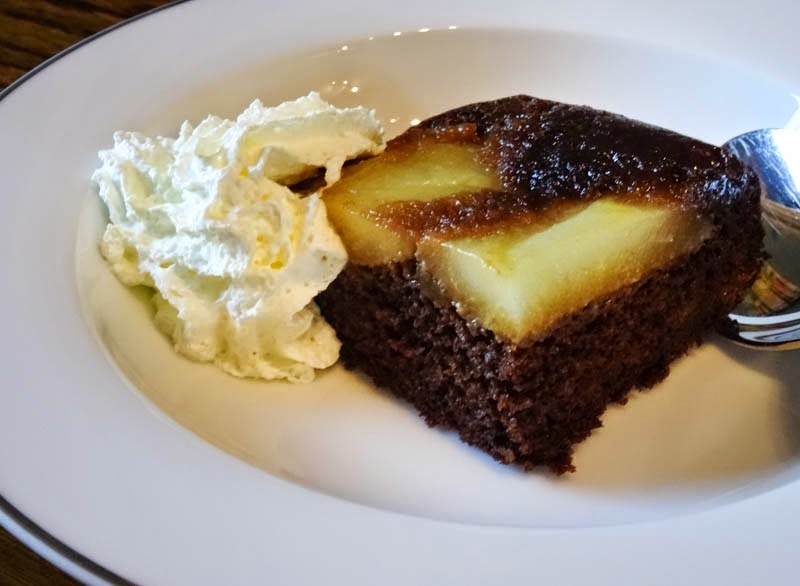 Chocolate cake is my go-to choice but that pear upside down cake looks delicious! Tough question, as I'm easily pleased when it comes to cake. Carrot cake. I can't resist lemon drizzle cake! I made a lime drizzle cake the other day and it was scrumptious!